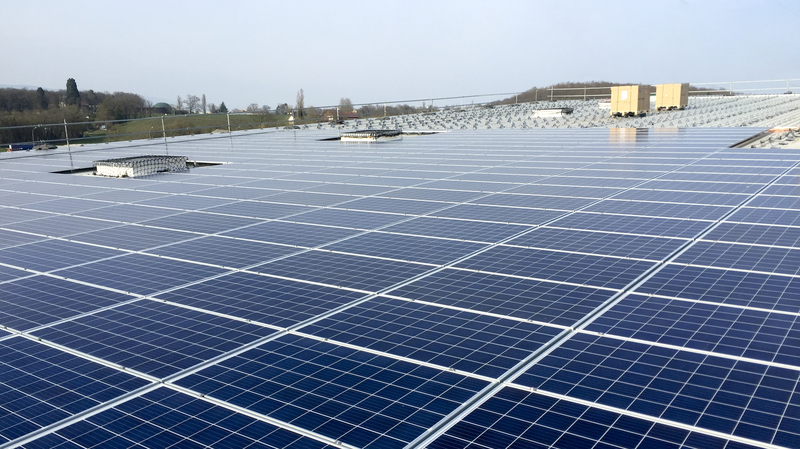 Thanks to its three SUPRA®, OPTIMA® and ADVANTAGE® integration systems, ADIWATT is able to provide its customers with a complete range of solutions for roofing use. For all its systems, Adiwatt uses specific steels (Z600 or Magnelis) and manufactures saline-resistant profiles with higher load characteristics than aluminum. Our industrial equipment facilitates the manufacturing in volume of the fastening systems of the modules with the best quality / price ratio in optimized deadlines. Adiwatt has already manufactured more than 1GW photovoltaic structures and covered 1.6 million square meters. 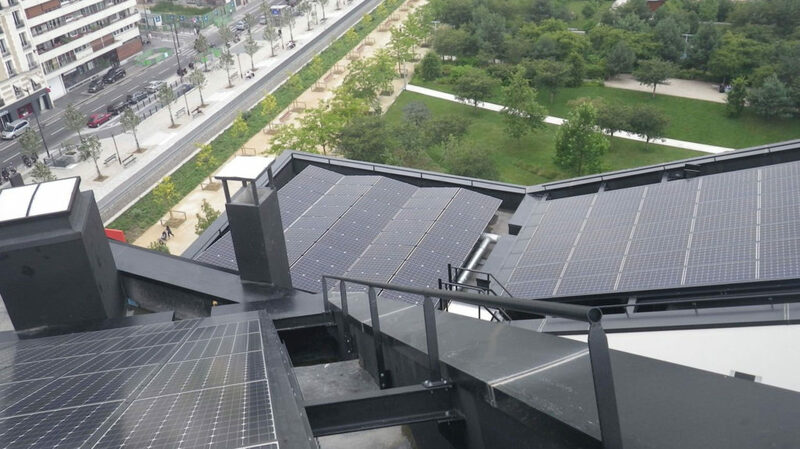 Advantage® is the secure solution for installing photovoltaic modules on terrace rooftops. 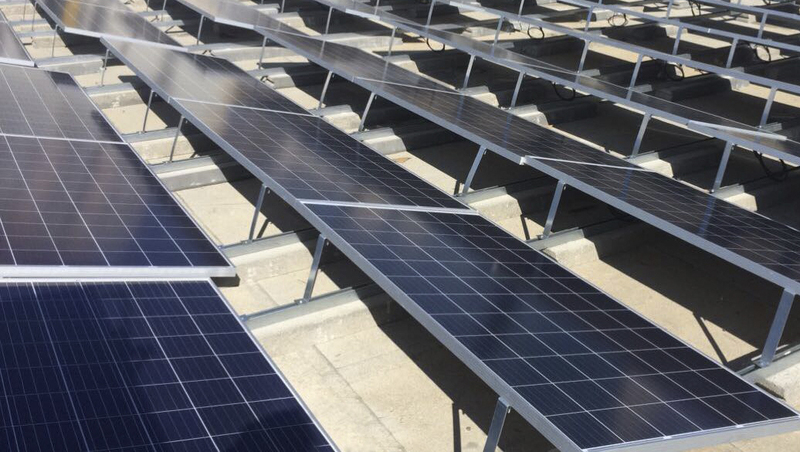 Advantage’s various mounting options allow you to select the best solution in order to optimize your solar system from 10º right up to 30º. Depending on the particular type of terrace, we suggest mounting with a screw anchor on concrete slab or panel weight for gravel terraces or ballast weight. Thanks to the specific design of the galvanized steel channels and their mounting components, the Advantage® system adapts to all terraces and thus permits the best possible layout. 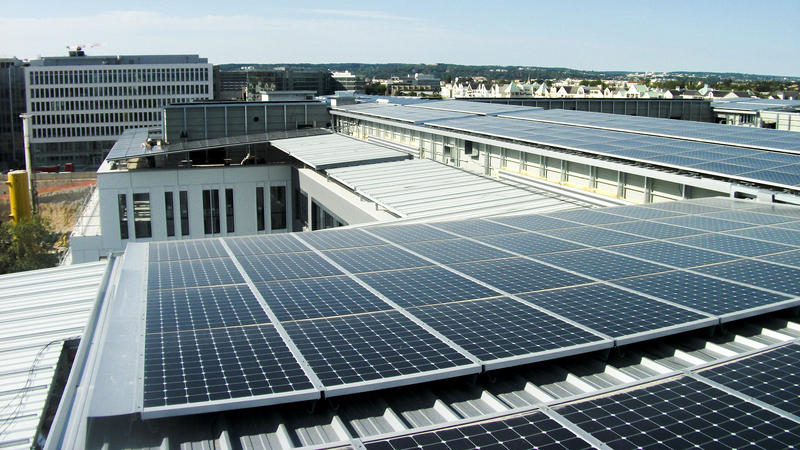 Optima® is mounted to the purlin and ensures the best stability for the photovoltaic installation. Its conception allows for secure mounting in extreme wind conditions. Its frame, equipped with its sealing gasket, adapts to the different trapezoidal weight panels and is mounted as an alternative to the trapezoidal panel fastener. As such, a new drilling operation into the rooftop is unnecessary. 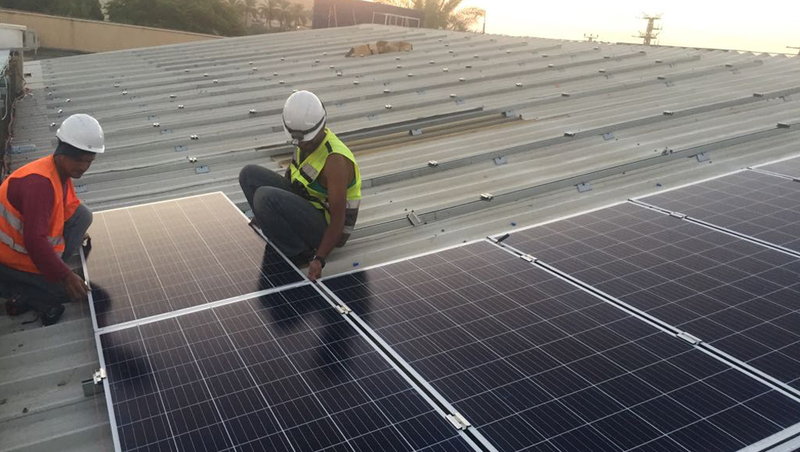 Optima® offers efficient ventilation of up to 140mm below the modules and thus ensures an excellent productivity as well as a long photovoltaic module lifespan. This system is manufactured from Magnelis steel or 2600, which confers anti-corrosive security. 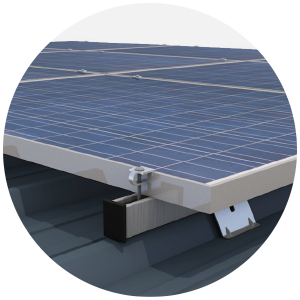 Supra® Universal Clamp has been developed to ease and to secure photovoltaic modules installation onto all types of trapezoidal sheet metal thanks to its rotation axis, which allows to be adjusted to all different angles of the steel sheet waves. 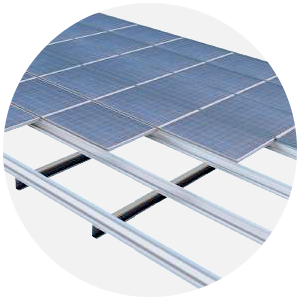 Using its clamping on the lateral side of the wave (roof-deck), its implementation offers better mechanical strength compared to clamping of the top of wave. Furthermore, it allows you to overcome the barriers caused by sheet metal clamping jumpers. 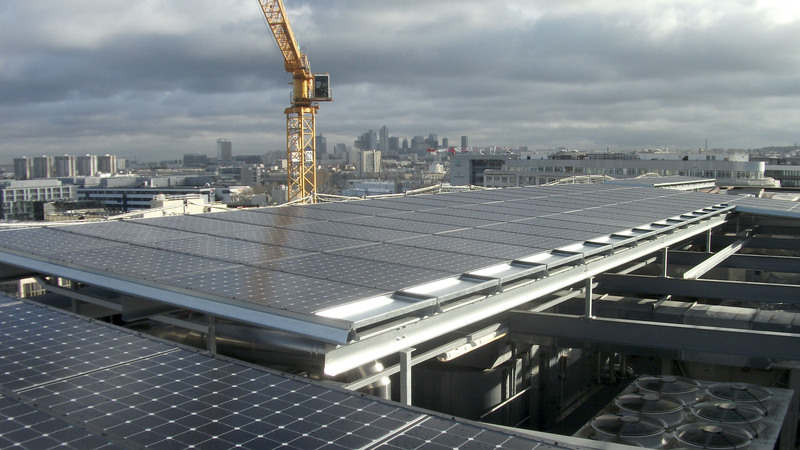 ProFile AdiWatt BI-PV® Integrated System covers a wide field of building-integrated solutions. 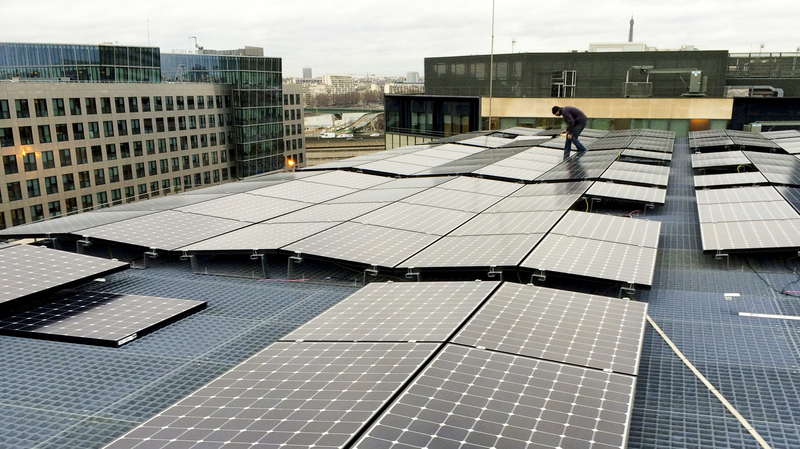 ProFile AdiWatt BI-PV® is compatible with new developments and existing buildings. It can be installed on rooftop, carport or terrace roof configurations. 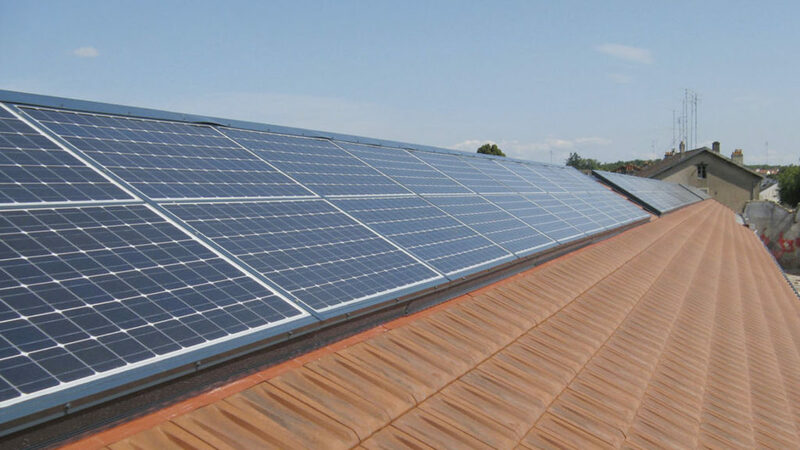 It is engineered to provide easy and swift solar module installation. The design of the rail reduces installation time and cost. 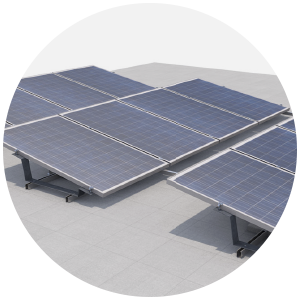 The modules can be glided into position, a vertical locking bar, tightened from underneath, secures the panels and makes the system water proof. 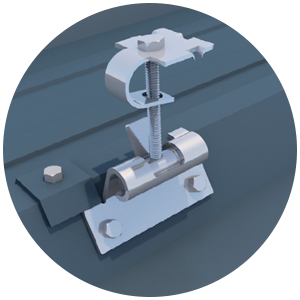 Structure integrated purlins sustain the panels and drain possible microleaks.